36 youths selected from across Nigeria, have graduated from the third edition of the filmmaking capacity building programme, “Unleash Your Creativity”, in the Federal Capital Territory (FCT). 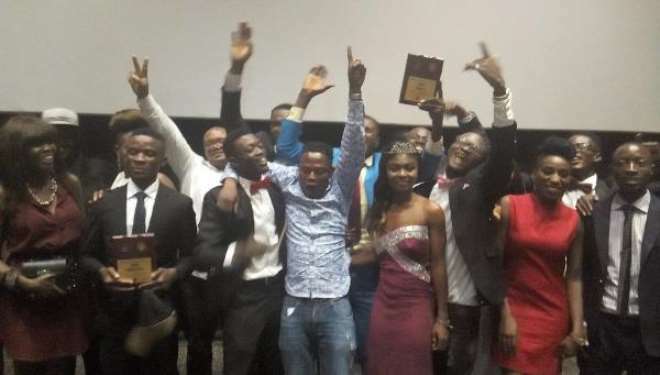 The News Agency of Nigeria (NAN) reports that the young filmmakers were presented to the audience on Thursday night at the closing ceremony of the programme tagged, “Night of Stars and Awards”, held at the Genesis Cinemas in Abuja. Mr Emmanuel Eyaba, the President of 2ET Media Network, organisers of the Programme, said the night was to honour the young talents for successfully completing the training, and to also showcase them to stakeholders. “In line with our vision of empowering the African youth, these young filmmakers were camped for 14 days and mentored by seasoned filmmakers and members of the Directors Guild of Nigeria. “While in camp, stakeholders and celebrities in the industry trained and share experiences with them, and they are now ready to showcase their talents to the world,” he said. Eyaba explained that the youths were trained in acting, directing, cinematography, editing, script writing and in other genres of the filmmaking process. He added that while in camp, participants were shared into groups (A and B) and were assigned to produce one film each that would create awareness on Peaceful Co-existence and on the menace of Self Medication. While presenting the awards, Eyaba noted that “The best group will be empowered with N10 million filmmaking fund to produce a feature film and given a one-year production contract with 2ET Media Network. “This gesture will automatically make these young filmmakers equipped and relevant to the film industry,” he stressed. He added that all the participants would also be recommended, as cast or crew, to seasoned filmmakers across Nigeria. He said that the initiative was to create job for young people in the industry, thereby reducing the numbers of unemployed Nigerians, and ultimately make them employers of labour as well. NAN reports that the high point of the night was the screening of the movie produced by the young stars and the award of outstanding individuals during the camping period. Group A produced a movie titled “The 5th Day”, while Group B produced an advocacy movie on tribal and religious tolerance among Nigerians titled “Misconception,” and was named the best team during the programme. Other categories of honour at the event included, Best Actors (Male and Female), Best Director, and Best Cinematographer, among others. Mr Christian Chima, who directed the winning movie, and also clinched the best director award, expressed delight on behalf of the teams for the exposure they received. “We want to sincerely appreciate Eyaba and his team for this great opportunity given to us, we are now well equipped to make our marks as professional filmmakers,” he said. Also, Mr Ofem Oboma, National Coorditor of Entrepreneur Enhancement Centre, who partners with the organisers of the programme,encouraged the young talents to see the opportunity as springboard into their career. He therefore offered scholarship for a selected best graduate of the programme to study French at the French Institute in Abuja.